The medical community and parents of children with Down syndrome learned about the latest health care and wellness strategies for people with the genetic disorder at the first-ever West Texas Down Syndrome Health Symposium, held Dec. 2 at Texas Tech University Health Sciences Center El Paso (TTUHSC El Paso). The day-long symposium was organized by the nonprofit GiGi’s Playhouse El Paso, part of a nationwide network of centers offering free therapeutic, educational and career-development programs for people with Down syndrome. The event was made possible by a grant from the Global Down Syndrome Foundation. Down syndrome is a genetic chromosomal disorder that causes learning disabilities, developmental delays, and, in some individuals, health problems. The syndrome varies in severity among those who have it. Dr. Handal moderated a panel Q&A session featuring some of the symposium’s invited speakers. 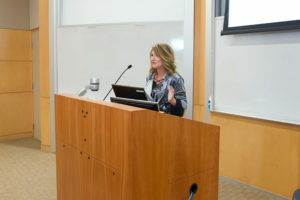 The event’s keynote speaker was Nancy Gianni, founder of the nationwide network of GiGi’s Playhouses. Gianni, whose daughter, GiGi, was born with Down syndrome, was recognized as a CNN Hero in 2016 for her efforts to grow the GiGi’s Playhouse network. Its 33 locations now serve approximately 30,000 families. 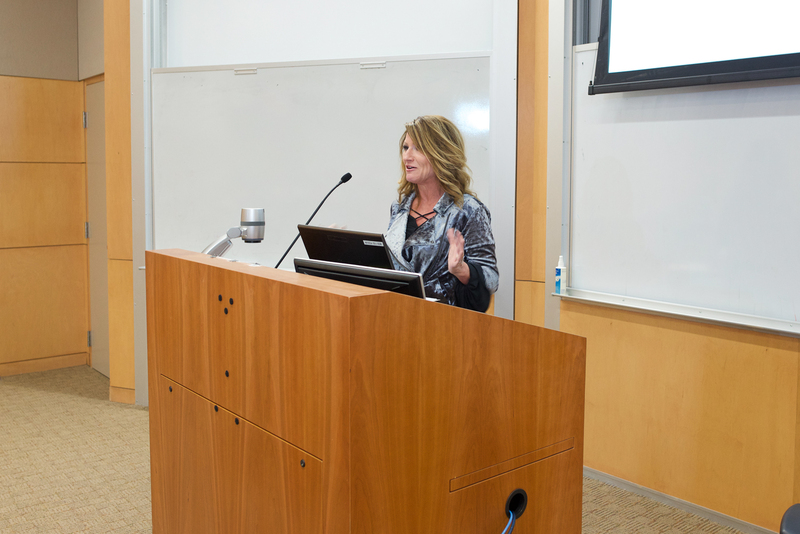 Nancy Gianni, founder of GiGi’s Playhouse, a network of centers offering free therapeutic, educational and career-development programs for people with Down syndrome, was keynote speaker at the West Texas Down Syndrome Health Symposium. The symposium offered two tracks: one for medical professionals, and another for the families and caregivers of people with Down syndrome. Presenters spoke to both groups.